Maintaining a safe name is of upmost importance. As pest problems arise, we use proven techniques to achieve control. Our technical experts can successfully rid your home of mice, ants, spiders, fleas, bees and most other pests. The best results are achived through consistent treatments. Depending on your individual situation, preventative, ongoing treatment is the best way to provide control and prevent pest issues from arising. This can be achieved by customizing a program to fit your personal needs. We apply effective treatment targeting the pests at their source. We also apply barrier control to help prevent recurrent issues. Please give us a call for more information! 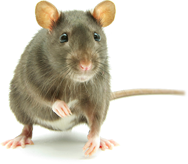 We believe in taking a health conscious approach to pest control. We offer non-toxic preventatives, repellents, and traps that are safe for you and the environment. It's important to us that there is no significant risk to pets, loved ones, friends, and family. While we care first about your safety, we are working hard to achieve results that you see! Call us for more information!